Certified Peer Support: Our HOPE4PTSDVETS.ORG Peer Support is offered to any veteran who is in need (via face to face, phone, text, or skype). This support can be individual or group support. As your Certified Peer Support Specialist it is my mission, at the very least, to provide you with hope. If we can accomplish that then the next mission is to determine where the path to healing begins. • Veteran Support Squads, created in conjuction with other wellness activities, provide peer driven support, encourage trust, mentorship, accountability, and community based volunteer activities. Mind-Field Maneuvers: If peer to peer support is our foundation then meditation and mindfulness are the shelter of this healing and wellness home. 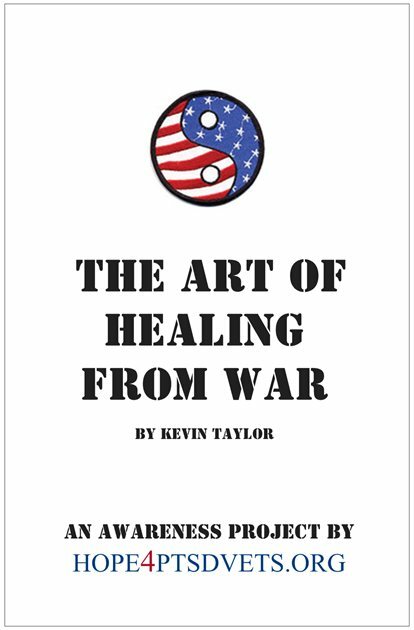 It is through these two practices that the combat vet develops a way to consistently quiet the mind and observe thought and emotion. Practicing these will cultivate space in which the combat veteran can make a choice about how or whether to react to the emotion he or she is experiencing. We will be utilizing the Mindful Maneuvers healing and balance program to cultivate mindfulness and deepen meditation. Wellness Coaching: Now that we have a solid foundation and shelter to protect us, we need to build some rooms. Our coaching program would be the family room since we believe that wellness for combat veterans includes wellness for those who love them. Provide confidential peer-driven, innovative, holistic, wellness strategies that encompass several proven modalities for healing and sustained balance through trauma and Post-traumatic Stress. Provide help and hope through compassionate professionals, volunteers, and peers, dedicated to developing and upholding the highest quality of care for veterans and their families wounded by trauma/PTSD. Provide guidance, experience, and support in the area of medicinal cannabis usage (where legalized).